Kwantlen Polytechnic University put its Surrey campus and its programs on shows for two days (Feb. 27 and 28), allowing the community to take a look and potential students to sound our instructors in the full range of the university’s programs. Reporter Nick Major snapped some photos of the event. 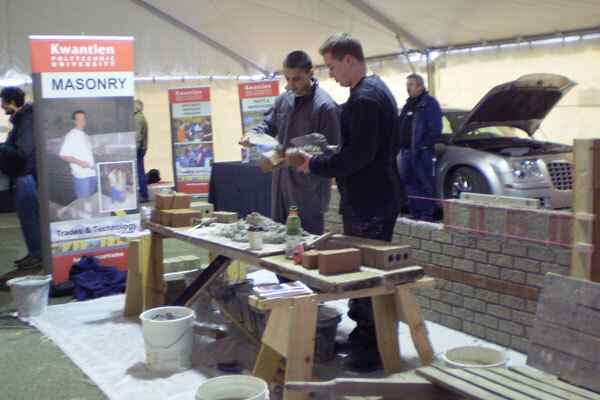 Two masonry students show off their craft in the Trades tent at Kwantlen's Big Big Open House. Nursing instructors demonstrate one of the robots used to train student nurses. The robots are designed to be as life-like as possible, with a simulated breath, pulse and bowel sounds. 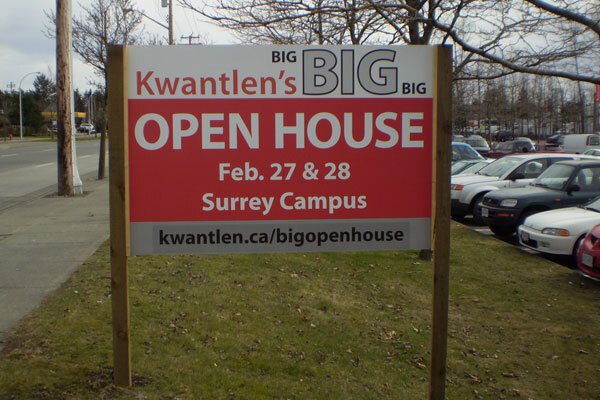 The Big Big Open House, held at Kwantlen's Surrey campus, was advertised with much fanfare. 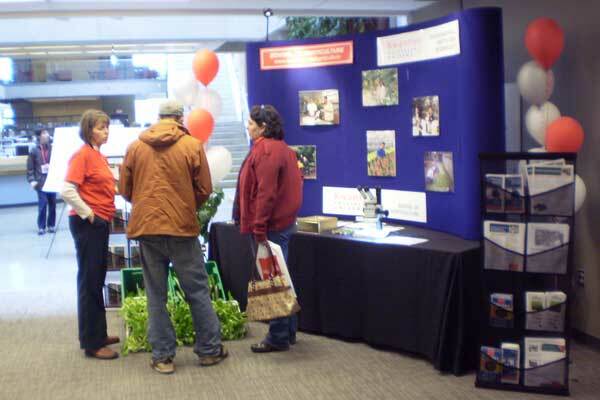 The School of Horticulture was giving away free organic cucumbers and lettuce during the Open House.